Its no secret I love pink. 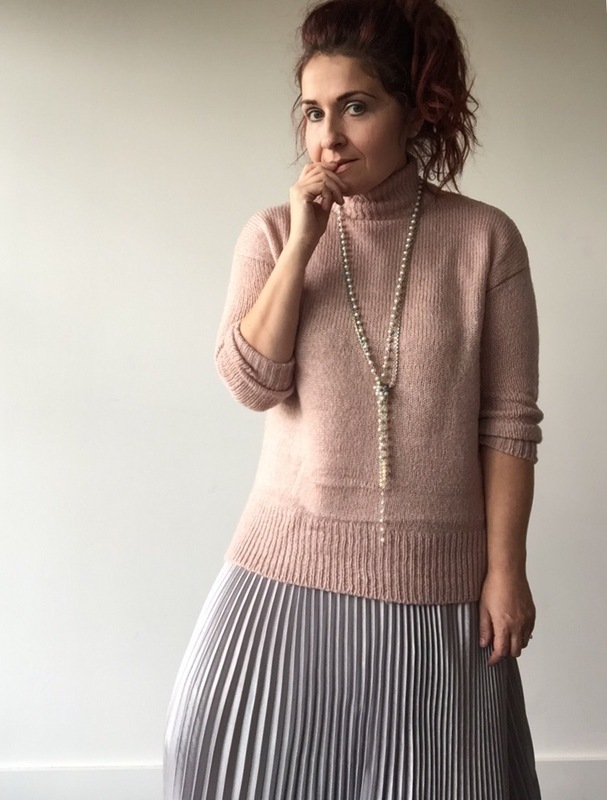 I like bright pink, baby pink and metallic pink…which is strange really as I wouldn’t describe myself as a particularly ‘girlie’ girl. 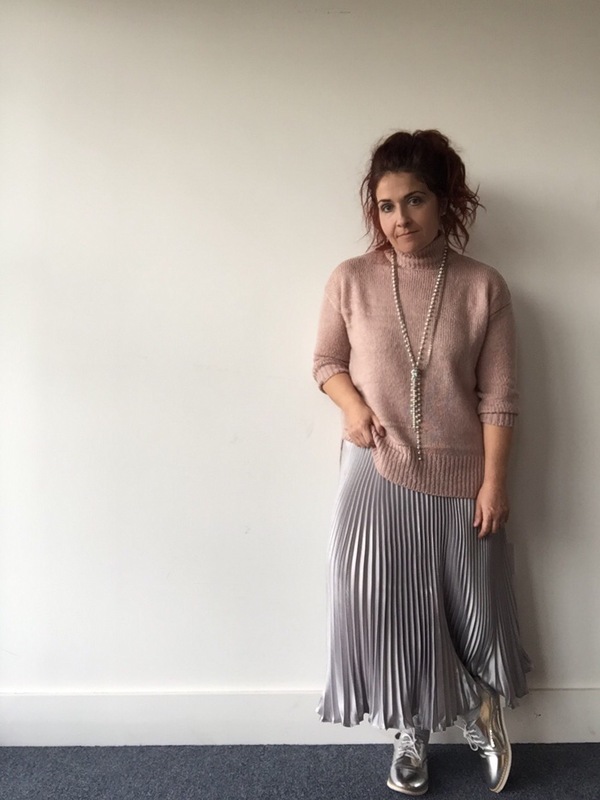 But fashion for me is about feeling good about yourself and pink clothing always does that for me. Todays look is based around a fabulous bargain jumper I bought from New Look. Its just £9.99 and is available in a number of colours – its shade is ‘shell pink’ which is a lovely flattering pink perfect if you dont want to go too pink (if thats possible, but hey I love pink!). It has a high neck, sloughy shape and fitted sleeves which creates a very flattering fit. I went for the small as I didnt want it too loose fitting. 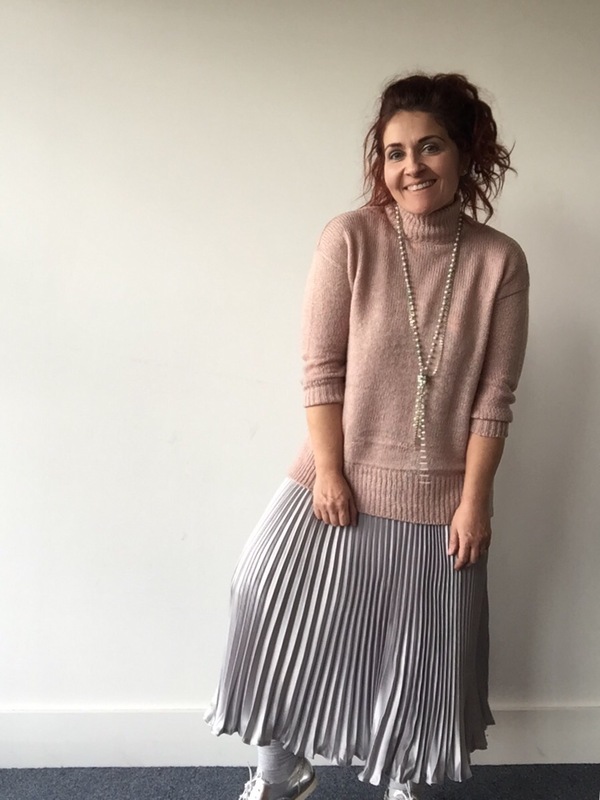 The jumper is available in 9 different colours plus some petite and tall options too and I definitely recommend it – find it here. 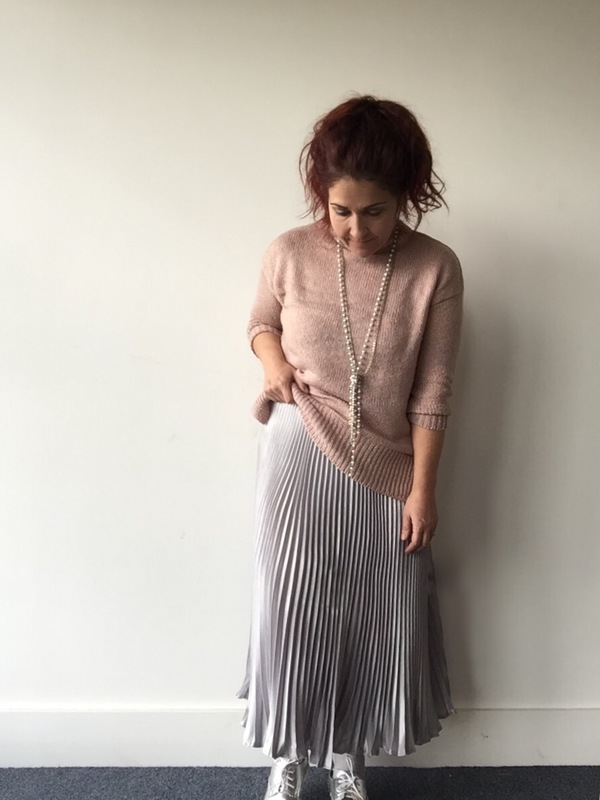 For a feminine look, I teamed it with a silver pleated skirt, pearl necklace and silver brogues. I wanted the look to be pretty but not fussy so kept it simple. 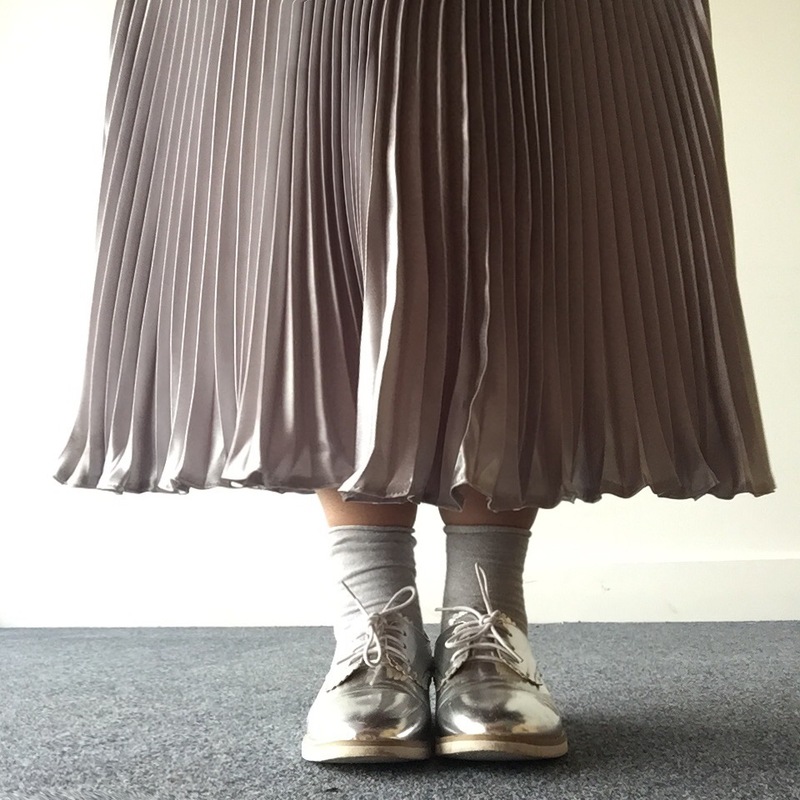 I just love pleated skirts and keep buying them in various colours, as theres something about the ‘swoosh’ you get when wearing pleats that just makes you feel great! 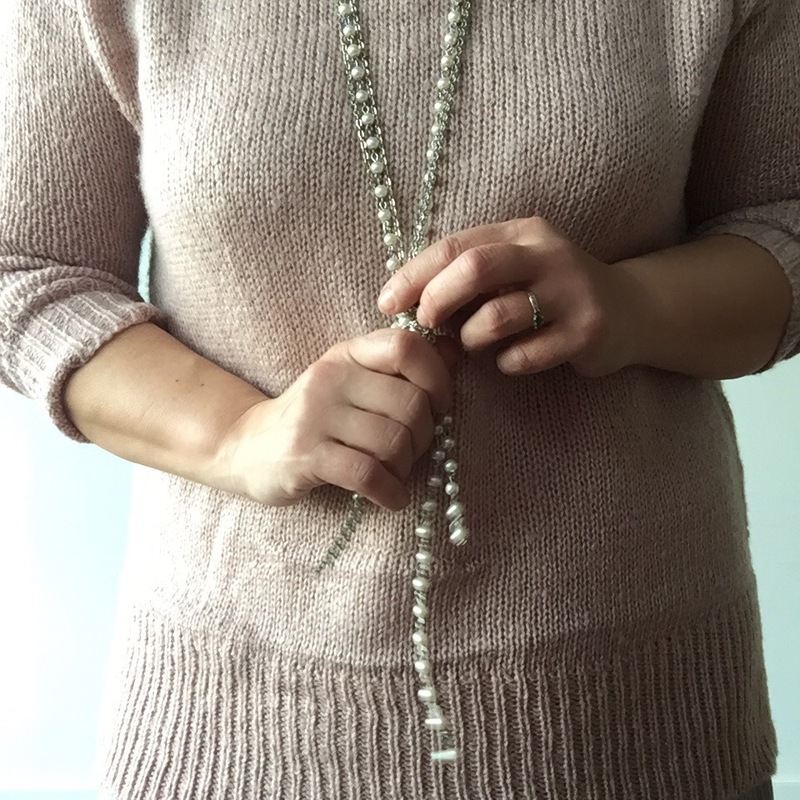 The longer length necklace creates a flattering accessory drawing the eye downwards and for a cute quirky look I teams the brogues with glittery ankle socks rather than tights.